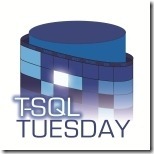 So T-SQL Tuesday is back again already, the first of 2011, and the theme is techie resolutions. This topic is courtesy of the Jen 1/2 of the MidnightDBA (twitter)(blog). I really like the idea for this topic, because we all have a lot of personal goals when it comes to a new year, but this is all about techie resolutions and what you want to achieve as it relates to technology. You might be wondering how does a House and a Dog make the list of techie goodness? 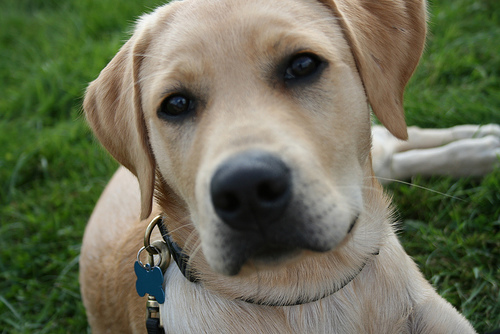 Houses are great and the can be tech savvy, but a dog….. really a dog…..!? Look at those eyes, they can be techie if they want to. So here we go! I’ve got my MCTS for SQL 2008, so one test to go on this one, this will be the first resolution I wrap up this year. I will start this track as soon as I finish the MCITP for the SQL 2008 DBA, my birthday is in late January and I’ll be getting the 70-433 book and a Prometric 2 Pack to help with this. This will be a year long project, I did my very first T-SQL Tuesday last month a full year will put me at 13, so the goal is 13 T-SQL Tuesdays by the end of the year J! I’m new to blogging, and it is not as easy as it looks when you are casually visiting a site. Each post requires quite a bit of work. I have 4 kids, I’m married, and work a full time job. Needless to say the one thing I’m not lacking on is boredom. The thing I like most about blogging it is forcing me to keep tight priorities and my goal is to do at least 40 blogs for the year. That is less than 4 a month. I’d like to do more but I’m of the under promise over deliver line of thinking. I don’t know how, but I missed most of the SQL Community, except for SQLServerCentral.com, while I was breaking into and becoming a DBA. It wasn’t until 2009 while I was working in D.C. that our Vice President of Microsoft Technologies came to me and said, “Your really interested in SQL Server right?” “Yes”, was my simple response to him. I had already gotten my MCITP SQL DBA for 2005 and was working on my MCTS for 2008, so I thought "like" was an understatement. You like a sandwhich, you like a joke, you like a movie, but I have a deep rooted desire to know SQL like I know comic books. He said he was going to forward me this link he got for something call 24 hours of PASS. Needless to say I was hooked. Not only did I love presentations from folks like Brent Ozar (twitter) (blog) and Louis Davidson (twitter) (blog), but I thought about what I did every day and felt I had things I could share as well. Working for the Office of the President I was a little leery to put myself out there, so when I left and I wanted to find a company that would encourage me to be active in the SQL Community, heck I didn’t need encouragement I just needed the thumbs up! And yes I got the big thumbs up. My first presentation will be at SQL Saturday 62 in Tampa this Saturday, January 15th, I’ll be presenting on Page and Row Compression How, When, and Why. I’ve presented internally for my company and also for previous audiences. But this will be my first venture into the SQL Community and I’m very excited. I’m going to be giving a 30 minute presentation at OPASS on March 8th, Transparent Data Encryption the Lightning Round. So that is 2 down, 4 to go. 7. A House and a Dog are techie goals! My kids will be so happy to hear this! The kids have wanted a Dog for quite sometime and this move was all about putting down roots long term. To be quite honest, if I only achieve one thing on this list, this is by far the most importiant. So there it is, not quite a top 10, but 7 will do for this year for me. So Dear Reader, thanks for stopping by and Happy New Year! Beautiful puppy and nice blog post. See you in Tampa! I love the techie take on the house and dog. It's amazing how a family can change the way you look at everything. Enjoy the dog, the house, and the Balls. I'm sure they'll make the stereotypical techie stuff even more meaningful.